In the wake of the launch of the Tesla Powerwall, everyone's buzzing about batteries. I don't know a lot about batteries but I do know they will play a big role in solar development. On May 16, I went out to Scott Sklar's house in Arlington to learn more. 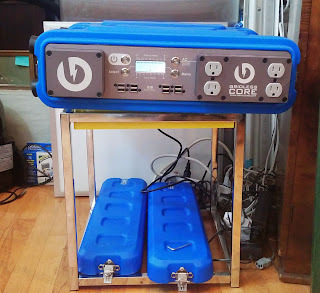 In the basement of Sklar's house, there are 24 batteries (SunGel AGM glass matrix with a 10 yr warranty). 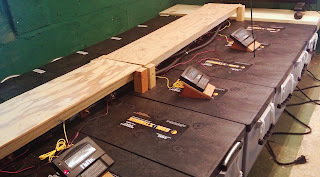 Sklar explained that these batteries could keep his energy efficient house running for a month. The "glass matrix" inside the battery keeps the gel from leaking and the different liquid components from separating. 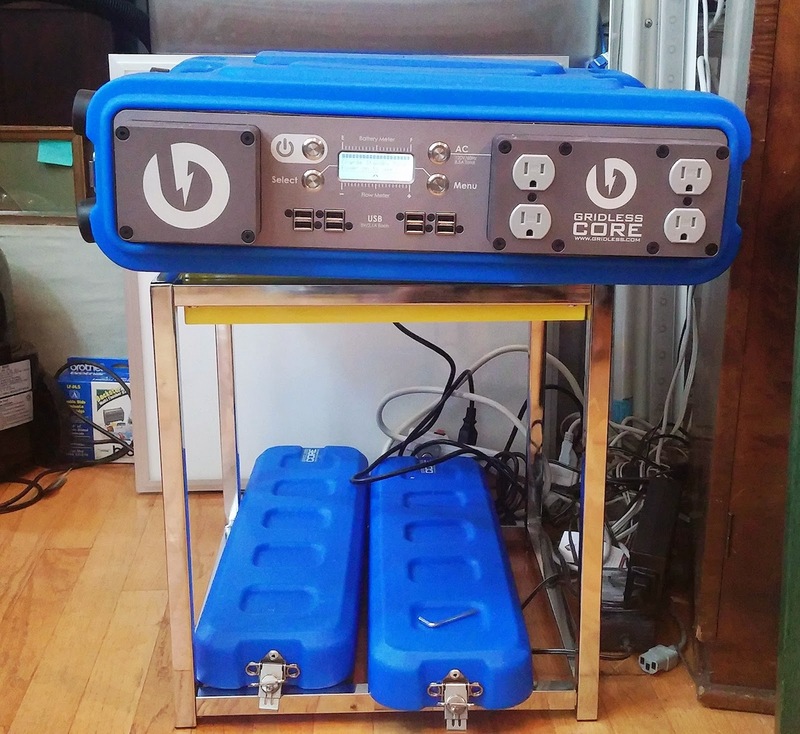 He's been using these batteries for over a decade on his international solar projects. Per unit, they go for around $700 and weigh 162 pounds. Not for the faint of heart. See more about the batteries here: bit.ly/1FqsOcD. This is a new addition to Sklar's office--it's the Gridless CORE battery. To give you an idea of what this thing is capable of...with one charge, you could get 50-200 hours of laptop use (obviously it depends on your laptop). It's 50 pounds and is built for some very rugged situations. For more information, go here: bit.ly/1Fqtoqz. New payment methods (Power Purchase Agreements).